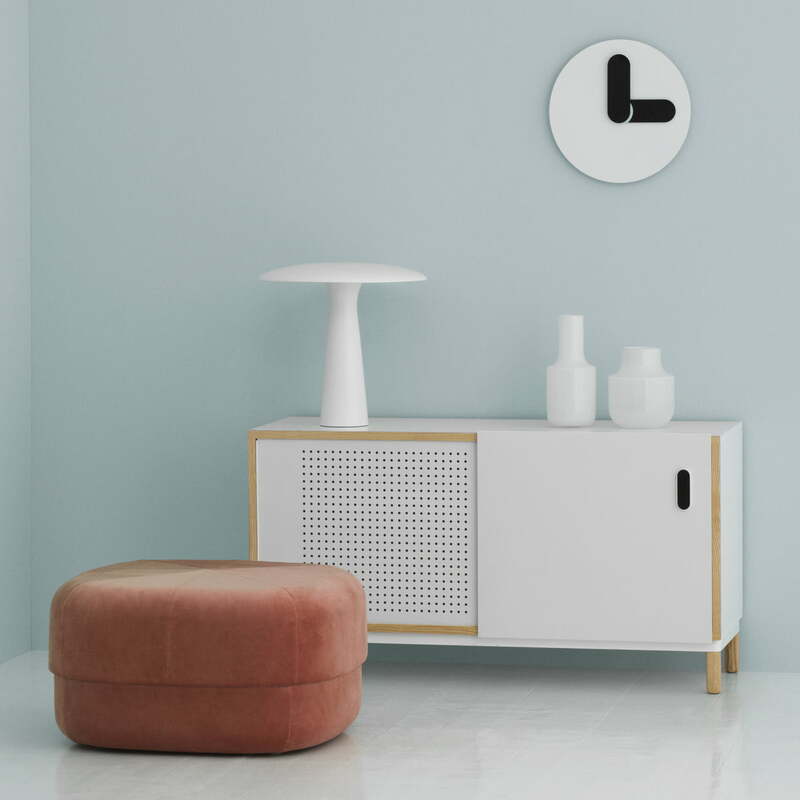 The Cisrcus Pouf from Normann Copenhagen is a large floor-cushion that connects the festive style of Moroccan cushions with Scandinavian home design. Simon Legald designed the Circus cushion for Normann Copenhagen. He was inspired by traditional Moroccan cushions, whose playfulness he caught regarding the construction and the design, in order to translate it into a modern context. The clear, graphic lines and the round shape is a modern response to the classic pouf we all know. 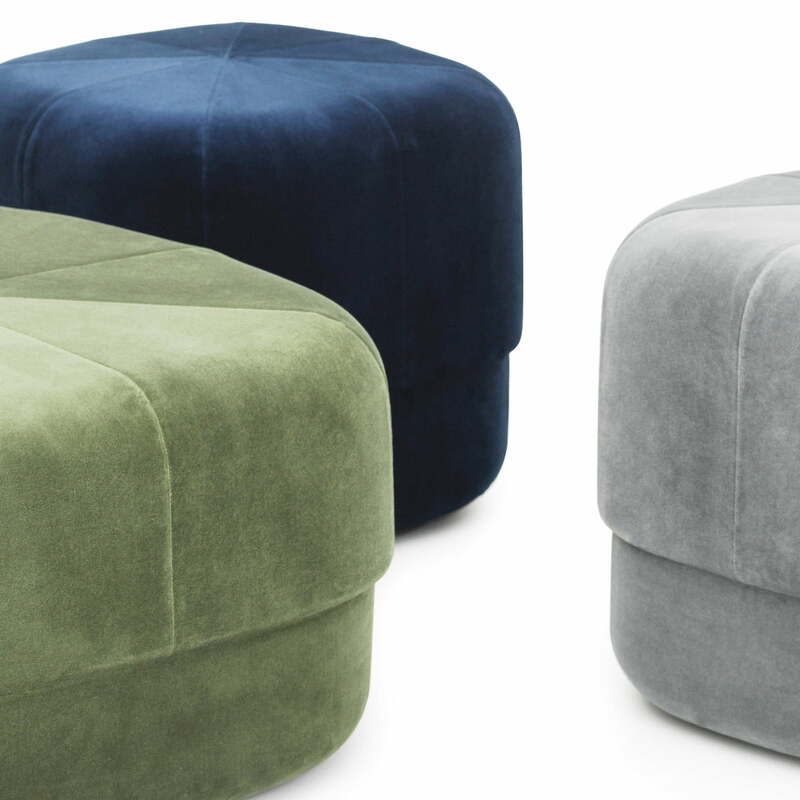 The equally straight-lined and friendly design of the Circus Pouf is inviting and it promises comfort. That promise is kept by the seat when we sit down, since inside of the pouf there are different fillings: The base is filled with fixed foam, which offers stability to the modern stool. 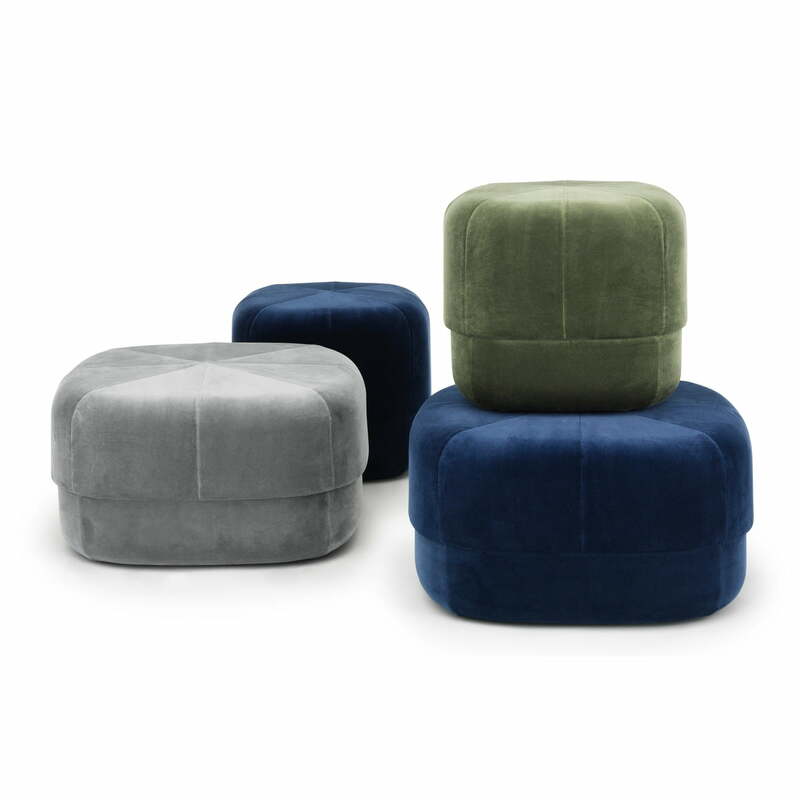 The Circus Pouf is filled with softer foam on the top, giving surprising comfort to the cushion. The Normann Copenhagen Circus Pouf can be used everywhere: It is suitable as footrest for stools or sofas, as individual seat, as stool in the bedroom or as flexible improvisation seat for unexpected guests. 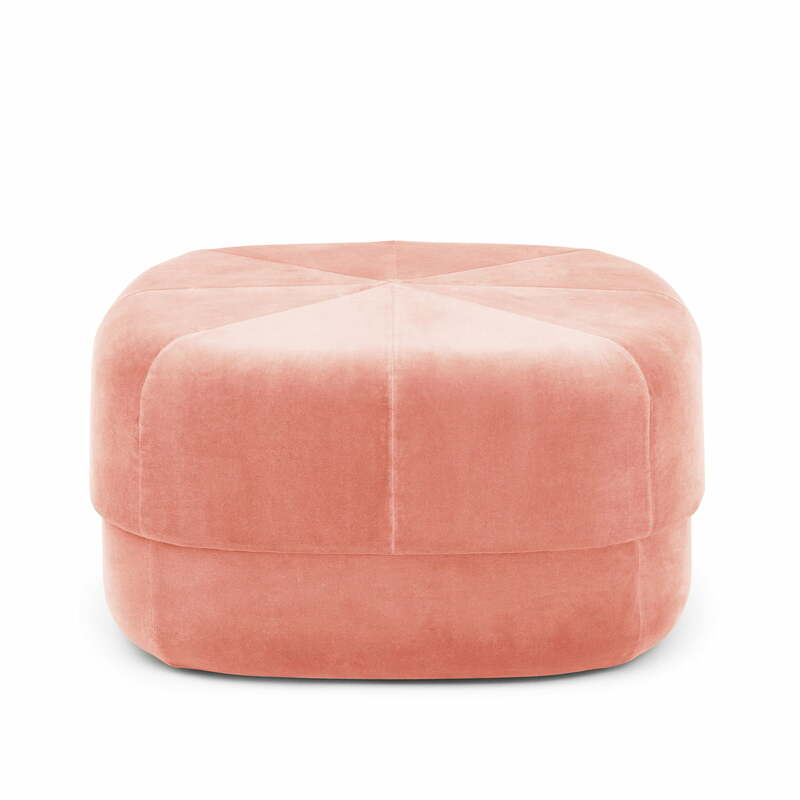 The Normann Copenhagen Circus Pouf is also available in further colours as well as in a smaller edition.